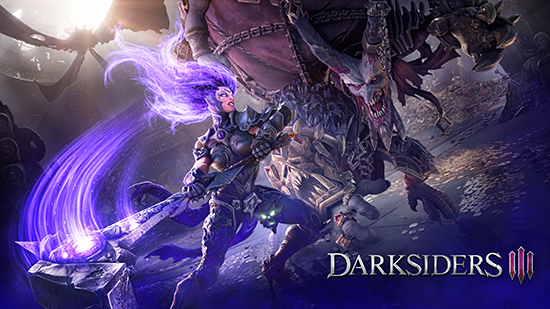 Two, separate DLC follow the November 27 launch of Darksiders III. Players can look forward to new playable areas featuring new challenges, puzzles, items and enemies in The Crucible and Keepers of the Void. The Crucible: Fury’s presence has been requested by a strange entity wishing to test her skills in battle. Never one to back down from a challenge, Fury accepts the invitation and gains access to a location known only as the Crucible. Here Fury will fight wave after wave of enemies, competing for a chance to unlock new rewards and items. Keepers of the Void: On a quest from Vulgrim, Fury must travel into the Serpent Holes to remove an ancient threat that resides there. The Serpent Holes are riddled with new puzzles and enemies eager to test Fury’s abilities. If Fury prevails, she will unlock all new weapon from the Hollows, as well as the biggest prize of them all: The Abyssal Armour.